There’s no question about the health benefits of enrolling your young child in a sport. Studies show that physically active kids benefit from higher test scores, are less likely to become obese, are more likely to go to college, and often see higher earning potential as they grow into adulthood. 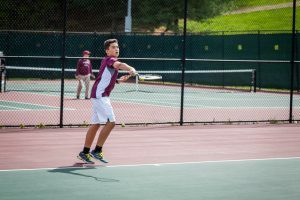 At most private schools, students are required to select and participate in one sport each season, and many programs offer a diverse range of options—including team and individual sports. But how do you choose? What option is best for your child’s personality, interests, and skill set? Here are some things to consider if you are trying to decide which sport(s) to sign your child up for this school year. Team sports offer players the opportunity to learn from coaches and teammates. As children grow and mature, they eventually become ready to assume leadership roles themselves. There are generally no captains in individual sports, but in team sports there are a number of leadership opportunities. Team captains are, of course, considered to be leaders among their peers, and even if an athlete doesn’t hold a specific title, many players become “unsung heroes.” They lead by example, work hard to be the first ones on the field and the last ones off, and address any behaviors from teammates that might be detrimental to the overall success of the team. It is a tall order for young athletes to take on, but the opportunity for growth is significant. The success of the team is dependent on each member executing the responsibilities that are required of them. Consider a successful field goal in football. The snapper must deliver the ball accurately and in a timely manner to the holder, who in turn must handle the ball and place it on the ground in the appropriate spot (with laces out! ), and finally the kicker must time his approach so that their kicking leg arrives just after the ball has been placed. This is quite a lot of teamwork that goes into three simple—but often game-changing—points. This type of teamwork teaches young players to see themselves as individual parts of a greater whole, and to handle and embrace the pressure that comes along with being a member of a team. Types of Team Sports: Team sports vary by season and include soccer and football in the fall; hockey and basketball in the winter; and lacrosse and baseball in the spring. While individual sports may not provide athletes with the same opportunities for community team-building and leadership opportunities, they do place a much greater emphasis on personal growth. In a team sport, an individual player is able to share the burden (and the triumphs), but in an individual sport the athlete bears the weight of success and failure alike on his or her shoulders. This teaches young athletes about self-reliance and requires them to build strategies to learn quickly from their mistakes and make corrections on the spot. Consider the figure skater who stands alone on the ice, spotlights shining down while the crowd watches his or her every move. The skater is expected to perform a routine flawlessly in order to win, and there is no one to hide behind, to pass the ball to, or with whom to share the burden of competition. Thus, individual sports are helpful to build discipline, mental strength, and a high level of ownership. Types of Individual Sports: Individual sports vary by season and include mountain biking and cross country in the fall; squash and cross-country skiing in the winter; and tennis and golf in the spring. 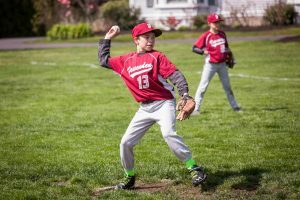 From recreational squads to competitive, championship-winning teams, Fessenden’s Athletics Program offers something for every boy. 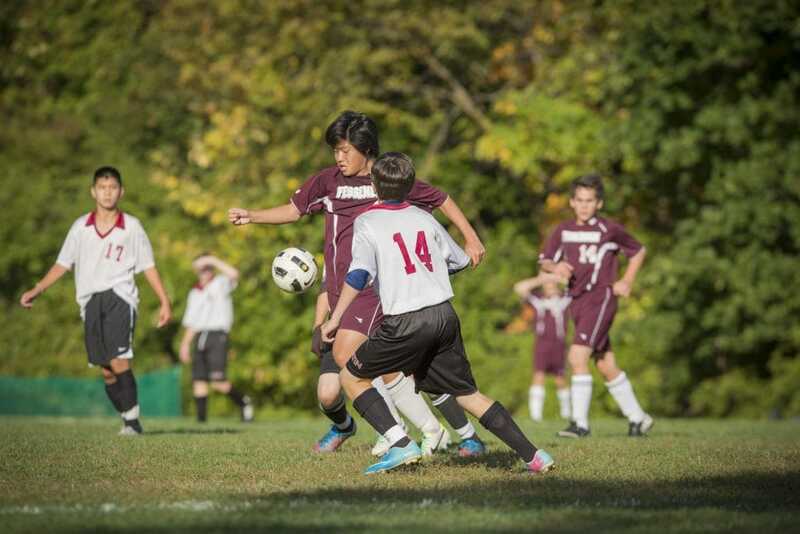 Fessenden boasts 18 team and individual sports at the interscholastic, intramural, and recreational levels in the fall, winter, and spring—more than 30 teams in total. By removing a “win-at-all-costs” mentality, our coaches focus on sportsmanship as well as skill development. And it works: our varsity teams compete at the highest levels and have won numerous New England Junior Prep Championships. So, how do you help your child choose the sport that is right for them? Both team sports and individual sports carry the benefits of exercise, agility, and competition. And, to varying degrees, they both instill values of discipline and grit. A young athlete has a lot to gain from both options, and perhaps the best choice is to provide them with opportunities to play both and determine which path brings them the most joy. If your child wants to play soccer in the fall, perhaps you can sign him or her up for recreational skiing or strength training and conditioning in the winter. Do you think there are pros and cons to team sports? And individual sports?